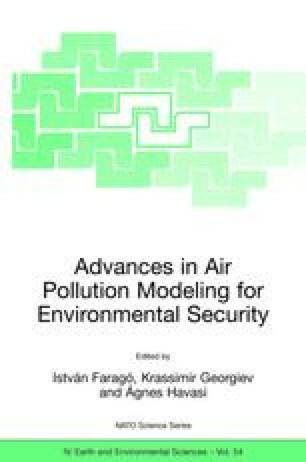 The modeling of air pollution parameters is an issue investigated using different techniques. The pollution time series, however, are not continuous and contain gaps. Therefore, methods to infill the gaps providing satisfactory estimations are quite significant. In the presented study two ANN methods, feed forward back propagation, FFBP, and radial basis functions, RBF, were presented to estimate the SO2 values using the NO and CO values. It was seen that both ANN methods provided superior performances to conventional multi linear regression, MLR, method. The ANN performances were found satisfactory considering the selected performance criteria and the testing stage plots.